Chatrium Hotels & Residences is pleased to announce that three of its properties have been recognized for their excellence by HolidayCheck, Europe’s biggest hotel review portal. 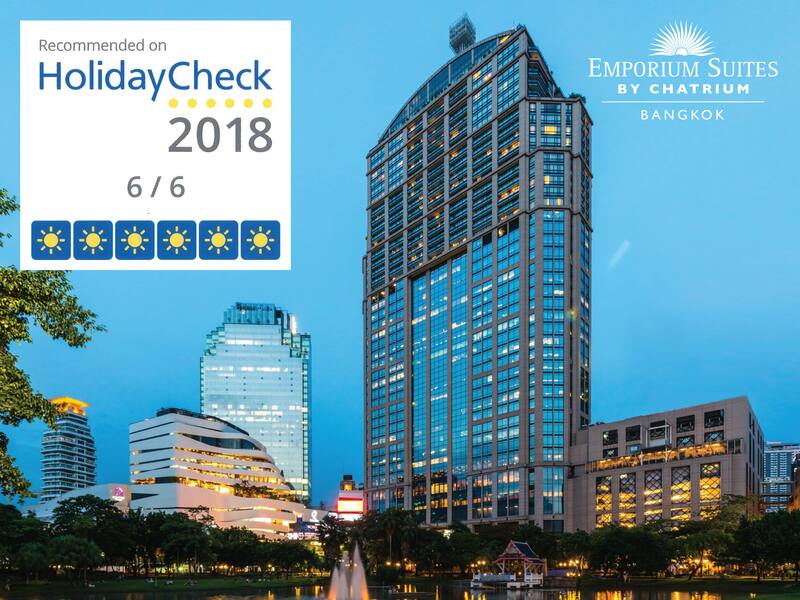 Emporium Suites by Chatrium, Chatrium Hotel Riverside Bangkok and Chatrium Residence Sathon Bangkok have all been granted the status of ‘Recommended on HolidayCheck 2018’, an accolade that HolidayCheck awards annually to hotels that consistently garner the strongest reviews for service, cleanliness, facilities, location and the overall pleasure and enjoyment of the experience. 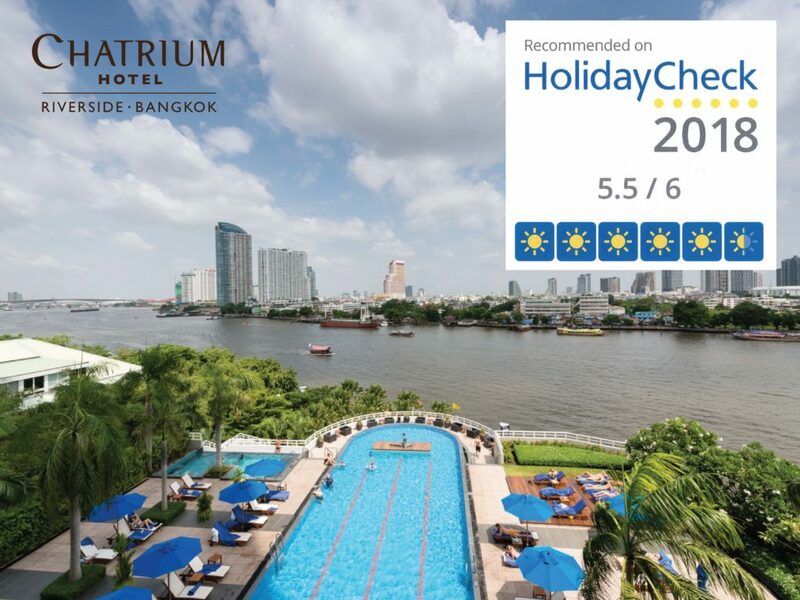 Chatrium Hotel Riverside Bangkok registered an amazing 5.5 out of 6 rating, with guest reviews dwelling on the “large rooms”, “great food” and service beyond expectations. Location was once again a key factor in the ratings. It was the “perfect hotel to explore Bangkok … located directly on the river”, verified guest Enrico said. Adding to the captivating riverside charm were the swimming pool – an infinity pool overlooking the river from the sixth floor – the excellence and variety offered by the River Barge Restaurant’s breakfast and dinner buffets, and the “large outdoor terrace” that complements its spacious indoor dining room, guests said. 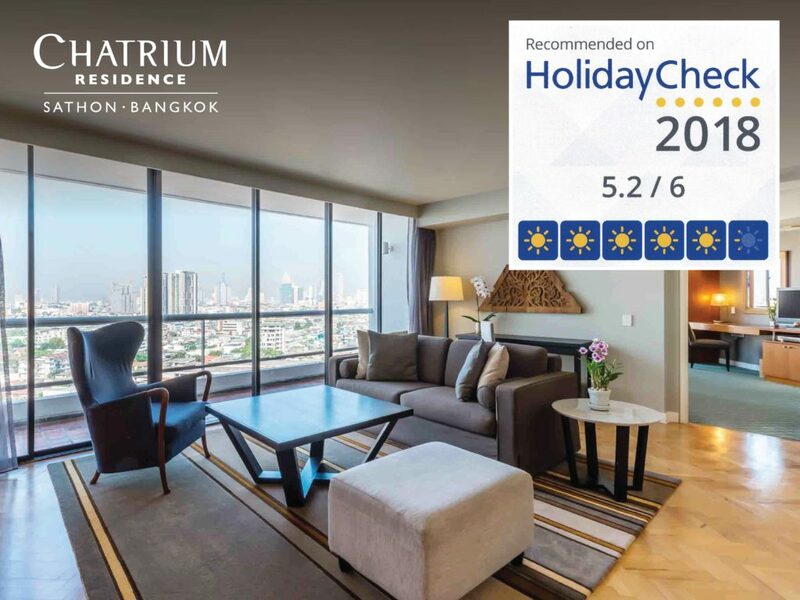 Chatrium Residence Sathon Bangkok tallied a remarkable score of 5.2 out of 6, as guests were charmed by the friendly service and the vast array of comforts and conveniences at the contemporary city oasis. Along with the “very good breakfast from 6:30am,” guests commented on the remarkable tours offered within and outside the city, the well-equipped kitchenettes, the “very nice pool area” with gardens and a poolside bar, and verified guest Sven went on to list “washing machines, fitness training, everything the heart desires”! The management of the Chatrium group and of each of these properties wishes to express their sincere appreciation to our guests for taking the time to share reviews of their experiences, and for their kind comments on our efforts to help all of you Feel the Remarkable during your stay. Finally, Khun Savitri Ramyarupa, Managing Director of Chatrium Hotels & Residences, gave a big thank you to all of the employees for their cheerful excellence and hard work, and to our guests for all of their support.